Not long now and the fourth annual LibraryCamp UK will be kicking off in Newcastle. If you are a first timer at an unconference it can be pretty daunting. There's no agenda for a start. No keynote speakers and no timetable until you create one! But unconferences can also be exhilarating, unpredictable, life-changing events. They have been for me. So how can you get the best from the day? 1. Remember that all sessions are welcome. If you are shy you only have to say a few words to announce your pitch and you can even ask someone else to do it for you. Although some ideas have already been posted on the wiki - these aren't set in stone. The agenda isn't set until all the attendees help create it. This is what we'll be doing for the first hour of the day. Pitching ideas and planning a schedule to fit them all in. 2. Rejoice, for LibraryCamp is a PowerPoint free zone. If you want to convene or facilitate a session you are not expected to do a presentation or run through a powerpoint slidedeck. No way José! Let's say you want to lead a discussion on abolishing library fines - you just need to give a brief introduction, go over the key points and you're off. 3. You are the expert. That's why there are no keynote speakers. It's the subject that gets the top billing not the speaker. Try and keep that in mind if you are feeling nervous about pitching a session or talking during a session. And feel free to tweet, blog and take photos all day long and please do share the results with the #libcampuk14 hashtag. (Follow this link to grab the RSS feed - thanks to Alan for creating this feed). 4. Leave your comfort zone. Go on, be brave! It does pay off. Everyone wants sessions to be interesting and that works best when people interact. Make an effort to speak up in groups and do chat to other campers during the day. You never know who you'll meet. 5. Enjoy yourself. You are travelling to Newcastle on your day off to talk about libraries! Turn what could be a busman's holiday into a day you'll remember. It will be chaotic and you will probably end up in sessions that sound nothing like the original pitch. But remember the beauty of an unconference is that the law of two feet says you can leave a session if it's not floating your boat. At the same time you might come away with new ideas, new support networks, new ways of thinking and new insights. *6. Think of the cake! Do any readers have any more tips to get the most out of an unconference? Please do share them in the comments. 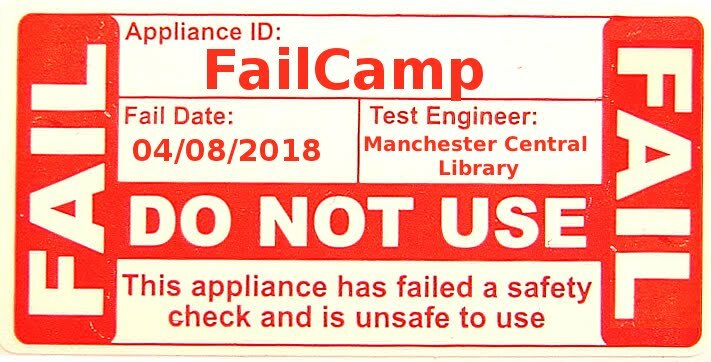 There's still time to get a ticket for Librarycamp. Come and join us at Newcastle City Library at 10am on Saturday 13 September.